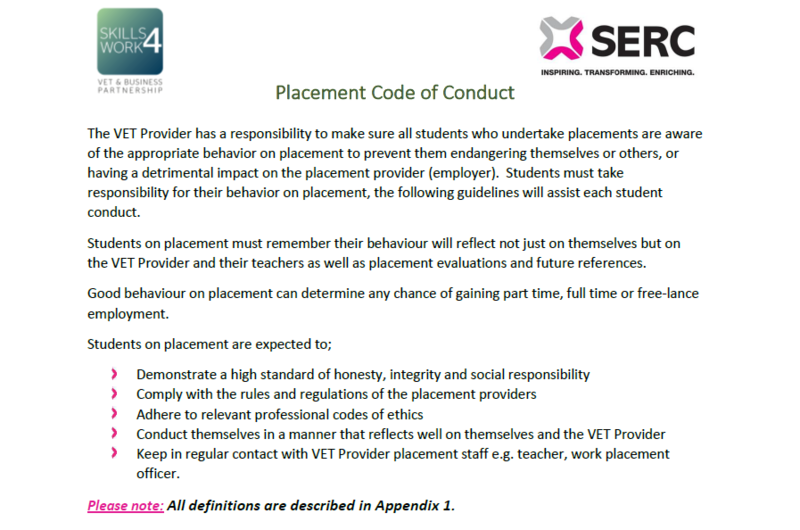 This resource provides detailed advice and guidelines for anticipated student behaviour on placement. It is aimed for VET Provider, Teachers and Students to help teachers prepare students for placement. 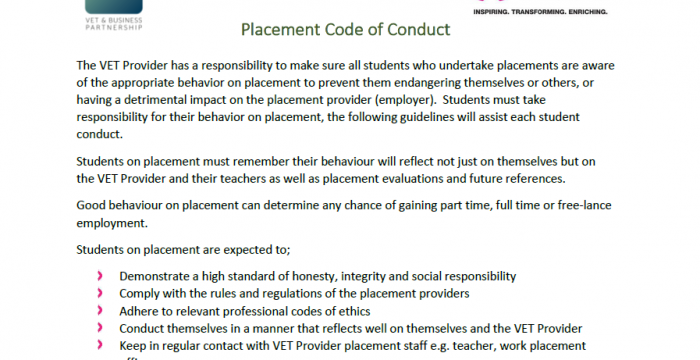 To ensure students are aware of behaviour expectations for a successful placement. Teachers should talk through the Code of Conduct and make this available for student reference throughout the placement.